Published September 28, 2015 at 1674 × 2986 in Dalava Kulam Massacre: Caste Killing in 19th Century Kerala. 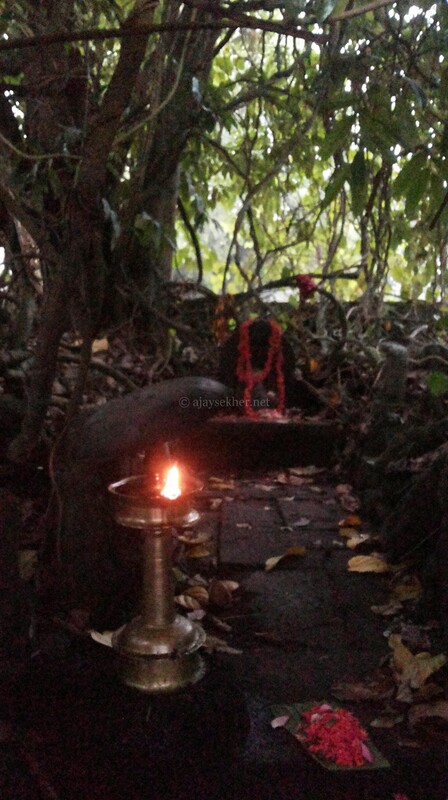 Panachikal Bhagavati at Vaikam temple. The Naga worship and sacred grove relics are also reminiscent of Buddhism and its conservationist ethical culture in Kerala. Kavu or sacred grove itself is named after Kanyakavu the Buddhist nun, who nurtured the grove and sheltered the snakes, reptiles, birds and other animals as a practice of compassion and Maitri.